So dating can be fun, no?! But also it can be exhausting, draining, frustrating, painful and confusing. At least once, I am sure you have asked yourself, “is it me?”. My answer is, I don’t know… but maybe. The thing about dating and love is that it is so often considered something that should be intuitive and easy so people approach it with a “if it’s meant to be it will be” philosophy but, in reality, dating takes work and thought and intention. 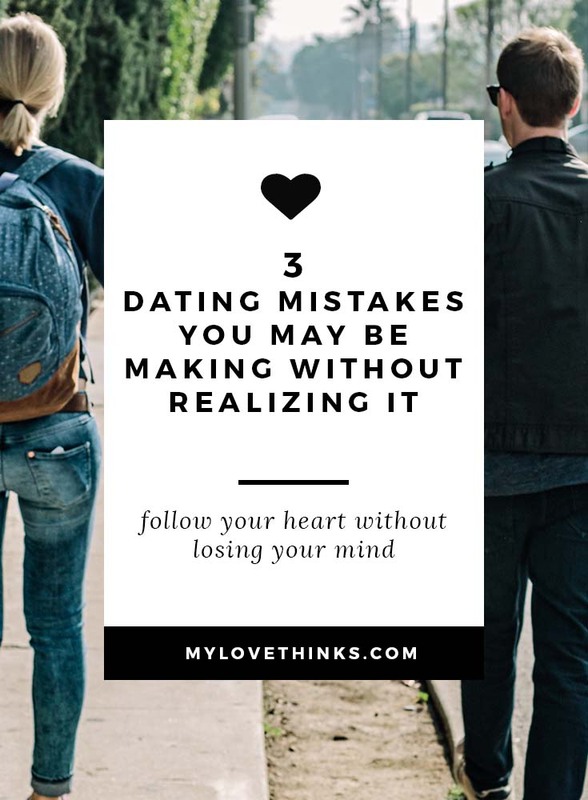 So I want give you a leg up and bring to your attention three dating mistakes you may be making without realizing it. This is a big one and unless you possess super strong self-control, then I’m sure this dating mistake has gotten the best of you before. Here’s what this usually looks like…. You fall fast and hard and your partner can do no wrong. Everything is perfect and you’ve finally found someone who doesn’t do this or does do that. So you drop your friends and invest all your time and energy into this perfect person. This scenario lasts a little while but then tends fizzles… or worse, goes down in flames just as quickly as it all began. There are a few reasons that you may be doing this. Sometimes, this tendency is a result of avoiding some past pain by projecting your ideals onto someone else. Or it occurs when you’ve moved too fast from one relationship to the next, leaving you vulnerable to getting caught up in the magic of a new relationship that seems so much better than the previous. For example, maybe you’ve had multiple relationships with people who don’t communicate and then you meet someone who has a way with words. Your painful past can make you ripe to project all the ideals of the perfect communicator onto someone you just started dating. This can cause you to dive in head first to a new relationship investing way too much too soon when you really don’t know this person. Or, you may have a blind spot to some distant unresolved hurts that you are trying to repair through your dating relationships. Yeah, I’ve made the dating mistake, now what? Have no fear, mistakes will be made! So, if this sounds familiar, here’s what you can do. Take a step back and look at your track record. If it reveals that you are an early idealizer then the best thing you can do is reflect and slow down your relationships. We’ve got a really helpful 7 days to dating differently challenge that could help you get started! And, puuulease slow down your next relationship. Setting firmer boundaries and really taking time to deepen how much you know your partner can help you to avoid repeating this common dating mistake. This one is so stinkin common! Unfortunately some people do this and end up marrying their pendulum-swing partner and then years later realize “oops”. So take this dating mistake seriously. Ok so the pendulum swing is basically when you end one relationship and then quickly enter another relationship with someone who has qualities that are the opposite extreme of the person you just broke up with. Almost always when this happens, you will think that you’ve got it right this time, only to later find out that you were way off. Got it, but why does this happen? This can happen when you jump too fast into a new relationship and haven’t given yourself enough time to process what went wrong in the previous. Let’s say you’ve dated this person who was so wonderful but kind of socially awkward and maybe, dare we say, a bit nerdy. The relationship was good but the social awkwardness really turned you off. Then you meet someone new who is socially savvy, smooth, and anything but awkward. Ahh the pendulum swings, you’re head over heels….this person is nothing like the last person I dated. Yeah, because you just shifted to the other extreme. This can also be a recipe for disaster because the opposite extreme of what you had is rarely the good fit. How do I prevent this, you ask?! Give yourself some downtime after a breakup. What’s the rush anyway? Take this time to regroup and think about what you liked and didn’t like about the last relationship and your last partner. Think about what a good match for you looks like. Make a list of the qualities that are important to you as you move forward, including those qualities that are non-negotiables. Also take some time to be self-reflective and identify what it is about you that could improve. Before you step into the next relationship, make sure you are clear on who you want as a partner, and who you want to be as a partner. Taking this time to do the work will definitely guide you as you navigate back into the dating pool. It will also prevent the super common pendulum-swing dating mistake in your next relationship. Truly, who wouldn’t feel like a million bucks after hearing lines like this? These phrases can capture the feelings of falling in love and a partner’s genuine appreciation of you. It is flattering to think that someone’s love for you had a miraculous change-effect on their previous patterns of behavior. But the usual bad news is that love feelings are not a reliable source of change. Harsh right? !But relationship research has consistently found that when dramatic changes happen after a new relationship they usually revert back to the pre-relationship state by the end of the first year. So does that mean I just run?! No, but if you hear one of these lines explore whether or not your partner has put work into making lasting changes from their past. Also, get to know their previous romantic relationships. Remember that relationship history tends to repeat itself so ask the tough questions about their past relationships. Enjoy your romantic experience, while trying to maintain a healthy level of skepticism. Do your research and keep your eyes wide open so that you can clearly see the true meaning behind the flattery. 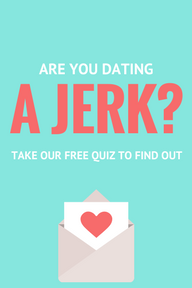 As always, thank you for reading and if you haven’t heard Dr. John Van Epp and I are doing a live webinar on the How to Avoid Falling in Love with a Jerk(ette) course Thursday, February 9 at 11 am and 5 pm PST. We seriously hope you can join us and share your questions and feedback and learn about how to take the guesswork out of your dating relationships. The How to Avoid Falling in Love with a Jerk(ette) course has been used world-wide and is based on the book with the same title…check it out here. Seriously, this is going to be fun. So if you’re interested register below!